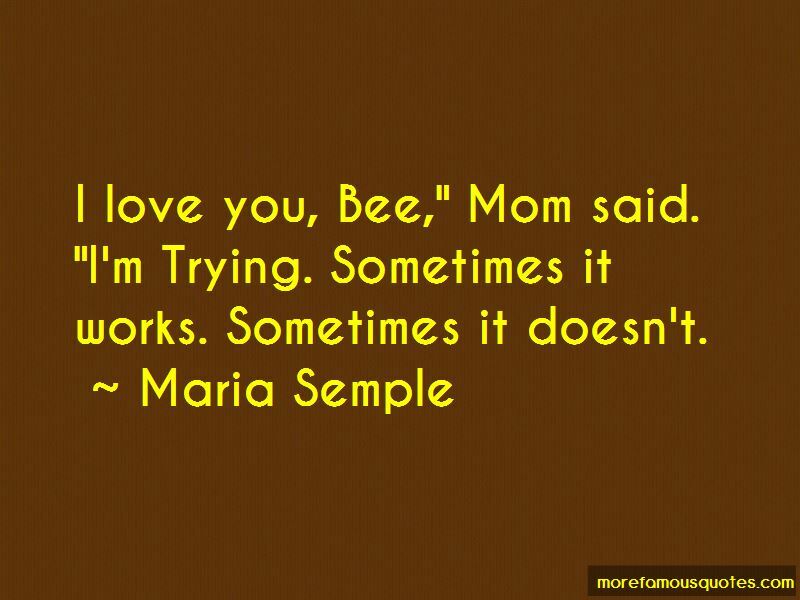 Enjoy the top 158 famous quotes, sayings and quotations by Maria Semple. I'd say I never considered myself a great architect. I'm more of a creative problem solver with good taste and a soft spot for logistical nightmares. When your eyes are softly focused on the horizon for sustained periods, your brain releases endorphins. It's the same as a runner's high. These days, we spend our lives staring at screens twelve inches in front of us. 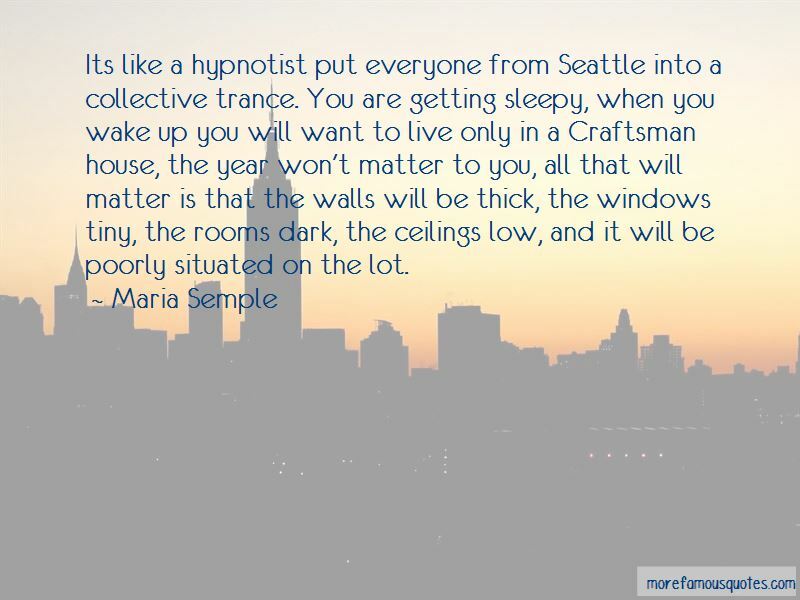 Its like a hypnotist put everyone from Seattle into a collective trance. You are getting sleepy, when you wake up you will want to live only in a Craftsman house, the year won't matter to you, all that will matter is that the walls will be thick, the windows tiny, the rooms dark, the ceilings low, and it will be poorly situated on the lot. The first stop on this crazy train is Kindergarten Junction, and nobody gets off until it pulls into Harvard Station. All those people I didn't even know, I couldn't pick them out of a lineup if I had to, but they had worked their whole lives to get the knowledge that ended up saving my life. It was because of them that I was in this magnificent wave of people and music. I know it's a lot. But she can handle it. I'd rather ruin her with the truth than ruin her with lies. Creating art is painful. It takes time, practice, and the courage to stand alone. After decades spent in rewrite rooms surrounded by other shouting writers, I discovered that I work best alone. I like being in charge of my time, working out the problems according to my own rhythms and being able to nap. That's a big one, the napping on demand! Both 'Where'd You Go, Bernadette' and my first novel, 'This One is Mine,' are pretty complex on a story level, and fun reads as a result. My favorite kind of book is a domestic drama that's grounded in reality yet slightly unhinged. 'Where'd You Go, Bernadette' was surprisingly easy and fun to write because I was feeling such strong emotions. 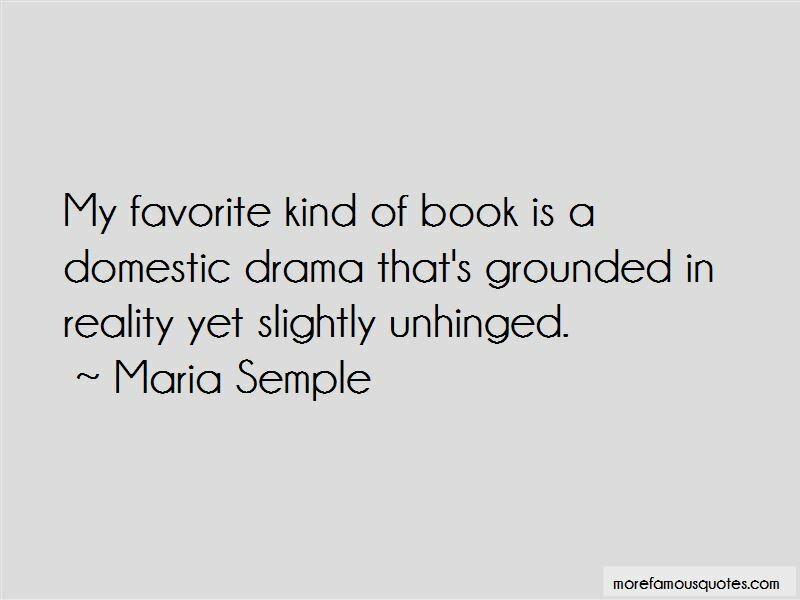 Want to see more pictures of Maria Semple quotes? 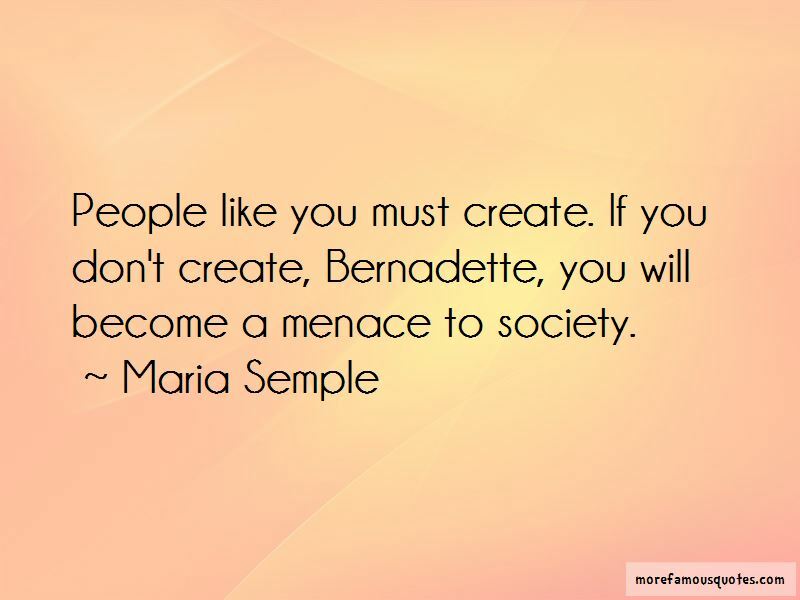 Click on image of Maria Semple quotes to view full size.